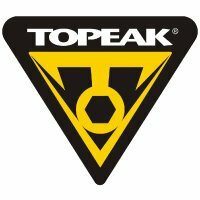 The Topeak Combo Torq Wrench Set takes the guesswork out of how firmly you should tighten your bike bolts. This can be especially crucial when tightening, for instance, a carbon frame's seat binder bolt or a carbon handlebar's stem bolt. Ergonomic handle for excellent leverage - makes it easy to achieve required torque values. Torque Range: 3-12 Nm (2.21-8.85 ft/lb). Includes 3, 4, 5, 6mm Allen keys and T25 Torx bit. These bits are slotted safely in a magnetic holder in storage.